The Aermacchi or Macchi MB-326 is a light military jet trainer designed in Italy. Originally conceived as a two-seat trainer, there have also been single and two-seat light attack versions produced. It is one of the most commercially successful aircraft of its type, being bought by more than 10 countries and produced under licence in Australia, Brazil and South Africa. It set many category records, including an altitude record of 56,807 ft (17,315 m) on 18 March 1966. More than 800 MB-326s were constructed between 1961–1975. The MB-326 had been developed and ordered during a period in which "all-through" jet training was considered by many air forces to be the most cost-effective model for training of military pilots. It was intended to provide a single type of aircraft that could be used to perform both elementary and advanced training right through to a near combat-ready standard. In practice, it was soon discovered that the simplicity and economy of scale of operating just one type for all training purposes was outweighed by the purchase and operating costs of a large all-jet training fleet. Many operators soon switched to operating the MB-326 in conjunction with a cheaper piston-engined type for basic training purposes. Over time, the MB-326 found its primary role as a lead-in trainer to prepare pilots for transition to very high performance fighter aircraft. During the 1950s, a number of countries begun to operate compact jet-powered trainer aircraft that possessed similar performance to frontline operational aircraft, often having been produced as two-seat adaptions of these aircraft. Recognising the potential to better fulfil this role, several different companies independently chose to commence the development of purpose-built aircraft to serve as trainers; these included the French Fouga Magister, the American Cessna T-37 Tweet, the British Jet Provost, and the Czechoslovakian Aero L-29. In the aftermath of the devastating Second World War, Italy spend a number of years recuperating and reestablishing its economy; as such, the nation found itself unable to prioritise the necessary financing for the independent development of high-end combat aircraft that would be competitive with the upcoming generation of supersonic interceptors or bombers; accordingly, Italian aviation company Aermacchi elected to instead focus its resources and development efforts upon the production of a line of light fighters and trainer aircraft. What would become the MB-326 was had its origins in a private venture project by Macchi; it was developed by a team headed by Italian aeronautical engineer Ermanno Bazzocchi, the company's technical director and chief engineer. Reportedly, Bazzocchi had considered many different configurations for the tentative trainer before the design team chose to proceed with a single-engined design. In accordance with its intended primary use, the airframe was a robust and light all-metal structure, being relatively simple and cheap to construct and to maintain. The design was also to be powered by the British Armstrong Siddeley Viper turbojet engine, an efficient powerplant for the time. The Viper engine had been originally designed as a short-life unit destined for use upon disposable target drones, however, the engine had showed itself to be far more reliable and useful in other roles. During 1954, initial representations by Bazzochi were made to the Italian Air Ministry. During 1953, the designed airframe and engine combination led to Macchi formally launching the MB-326 programme. Around the time of the programme's launch, the Italian Air Force took interest in the proposed aircraft. The service was considering options for the potential replacement of its existing trainer fleet, thus, upon the commissioning of a competition to select a suitable successor, the MB-326 was an obvious early entrant. A detailed specification was released for the competition, the requirements stated included a maximum load of 7 g when flown at the maximum weight, a lifespan of 5,000 flight hours, an interval of at least 50–60 hours between servicing, ample warning in advance of stalls (to be at least 15 km/h (9 mph) above the aircraft's stall speed), the ability to take-off at maximum weight in 800 m (2,625 ft) over a 15 m (50 ft) high obstacle (or 500 m (1,640 ft) when flown at a light weight), being able to land within 450 m (1,480 ft) at minimum weight, a minimum speed of 110/130 km/h and a maximum speed of 700 km/h, a rate of climb at least 15 m/s (2,950 ft/min), and an endurance time of at least three hours at 3,000 m (9,840 ft). Interest in the proposed MB-326 led to the awarding development contract for three prototypes was awarded. The programme was subject to significant refinement around this stage, leading to several modifications being made. Amongst these changes was the elimination of the negative dihedral angle previously present on the horizontal tail surfaces and the substitution of a pair of wing-based airbrakes into one located at a ventral position. During 1956, the AMI gave its official approval of the project and issued a request for the production of a pair of prototypes (later designated as MM.571 and MM.572) as well as a single airframe for static tests. These prototypes were not intended to include several features, such as the ability to equip and deploy armaments or refinements such as cabin pressurization, however, Bazzocchi chose to introduce them regardless. On 10 December 1957, the first prototype performed its maiden flight, flown by Macchi's chief test pilot Guido Carestiato. This prototype, designated as I-MAKI, was first publicly demonstrated over France. During its flight test programme, the MB-326 prototypes demonstrated highly favourable flight characteristics of the design; however, several of the modifications made had negatively affected the overall weight of the aircraft; allegedly, at one stage, the excess weight was 400 kg (880 lb) greater than that given in the initial estimates. The original Viper 8 engine was capable of producing 7.8 kN (1,750 lbf) of thrust; to address the increased weight, the more powerful Viper 9 model was adopted instead, which was capable of generating 0.7 kN (147 lbf) more thrust. On 22 September 1958, the first prototype was joined by the similarly-configured second prototype. It did feature some differences from the earlier aircraft; chiefly, it was powered by a newer model of the Viper engine, the Viper 11, which had been rated to produce 11.1 kN thrust (1,134 kgf, 2,500 lbf). The Viper 11 would be the same standard of engine used on subsequent production standard aircraft. Direct competition to the MB-326 came in the form of the Fiat G.80; this aircraft was both more powerful and held the distinction of being the first real Italian jet, having flown five years earlier. However, the G.80 had several disadvantages, including being heavier, considerably larger and more expensive than its rival; as such, it ultimately lost the trainer contest and remained without a market. On 15 December 1958, having been suitably impressed, the Italian government placed an order for a batch of 15 pre-series examples on behalf of the AMI. A production line was established at Macchi's facility in Masnago, Varese, Northern Italy. Shortly thereafter, the AMI issued its first order for the MB-326 for an initial group of 50 production standard aircraft. During 1960, a larger follow-on order for 100 aircraft was received by Macchi; this sizable commitment was viewed as being a major step towards establishing the company's supremacy in jet trainer market. The Aermacchi MB-326 was a low-wing monoplane with an all-metal structure composed of light alloys. It was one of the first jet trainers to be developed with the aim of catering to both for ab initio and advanced instruction. As originally developed, the MB-326 functioned as a refined but simple aircraft capable of covering the considerably wide range of performance characteristics required to cover both ab initio training and advanced instruction alike; other major characteristics of the type included the capacity to deliver a high rate of utilization in conjunction with minimised servicing and maintenance requirements. According to Flight International, the type was suitable for the teaching of the majority of advanced flying techniques. In addition to being relatively easy to fly, a high degree of safety was also intentionally built into it, including adoption of new Martin-Baker-built ejection seats. The MB-326 was powered by a single Rolls-Royce Viper non-afterburning turbojet engine, initial production aircraft were powered by the Viper 11 model, capable of generating up to 2,5001b thrust. The engine possessed multiple favourable attributes, including its general simplicity and robustness, relatively low revolutions per minute (RPM) and turbine entry temperature (TET), rapid acceleration, ease of installation, and its somewhat forgiving nature to mishandling in the air by students. Air was provided to the engine via a pair of low-profile intakes set into the wing roots. The Viper was produced under licence by Italian aviation company Piaggio following an agreement established with its original manufacturer, the British engine firm Bristol Siddeley, during 1959. In a structural perspective, the MB-326 was relatively straightforward. Both the fuselage and the wing were constructed in three sections; of these, the centre section of the wing was integral to the fuselage. The fuselage was divided into a forward, central, and rear section; the forward section contained the nose wheel and radio systems; the centre part, accommodated the cockpit, fuel tanks and the engine; and the rear section which comprised both the tail unit and jet pipe. The fuel system had one large tank in the middle-fuselage and two in the wingtips; a single-point pressure-fuelling system is located on the starboard side of the aircraft to provide a total refuelling time of around five minutes. The rear of each wing had flaps, and ailerons with a trim surface; each wing had 22 ribs and two spars. Wing fences were added mid-wing to increase the lift characteristics. Accordingly, the MB-326 was readily capable of performing relatively slow speed take-off and landing while retaining an excellent rate of climb. The MB-326 was outfitted with a tandem cockpit configuration, this arrangement had been chosen to result in a slimmer and more aerodynamically efficient fuselage in comparison to the more usual side-by-side arrangement. It was covered by a bubble canopy for excellent external visibility; it featured a windscreen anti-icing system powered by the engine compressor using bleed air. 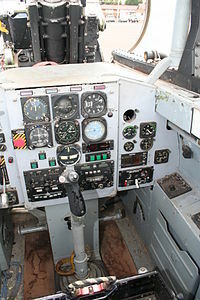 The cockpit was also pressurised, enabling the MB-326 to conduct high altitude flight. The ability to fly at higher altitudes was favourable for multiple purposes, including during the execution of aerobatic and navigational training, as well as improving fuel efficiency for long distance flights. The onboard systems were typically pre-manufactured units which were easy both to access and to remove; several elements were also intentionally interchangeable. The exterior of the aircraft was covered by a total of 80 inspection panels and doors; in-situ engine inspection could be performed via a pair of large access panels set above and below the engine bay while another pair of doors allow access to the intake duct's interior for the inspection of the first-stage compressor rotor blades. These high-profile successes functioned as objective statements of the capable performance of the MB-326 and established the type as being one of the best aircraft amongst its contemporaries in its category. Another pilot Riccardo Peracchi, who was employed by for AMI, frequently demonstrated the manoeuvrability and controllability of the aircraft at airshows for a number of years. While Peracchi displayed the MB-326's agility, Ralli concentrated on exploring its cutting-edge performance; meanwhile, early customers of the aircraft were typically reporting their satisfaction with the type to Maachi. The first production MB-326s, following a relatively protracted development cycle, were first delivered to the Lecce-Galatina school of the AMI's 214° Group, these were temporarily fielded at Brindisi, Apulia. On 22 March 1962, the MB-326 formally entered squadron service with 43° Flyer course. The type was soon used to replace the aging North American T-6 Texan; typically, within the space of 130 hours, pilots would be as prepared to graduate as they would have been after receiving 210 hours training in the older T-6. As a training solution, the MB-326 was considerably costlier but was met with enthusiasm amongst students; additionally, when used in combination with the Fiat G.91Y advanced trainer, it enabled the enactment of an "entirely-jet" training course for AMI pilots, and moreover these were domestically designed and produced aircraft. According to aerospace publication Flight International, during the early 1960s, the AMI's flight training programme was heavily influenced by the impending entry into service of the Lockheed F-104G Starfighter. As well as being amongst the first customers to procure the aircraft, the AMI would be amongst the final customers of the later-built models of the MB-326 as well. The service ordered a batch of 12 MB-326E, comprising six MB-326 updated to MB-326G, and six newly produced (MM.54384/389). They had provisions for armament, but the engine was the Viper 11 Mk 200 and not the Viper 20 Mk 540. In Italian service, the MB-326 was replaced by the MB-339 between 1981 and 1984, acting after that as fast linkage aircraft, replacing the old T-33s that were slightly faster. Unusually, the MB-326 did not see service with the Frecce Tricolori aerobatic team, who kept their faster G-91R PANs (they were later replaced by MB-339s). In addition to its AMI service, the MB-326 was also employed in a civilian capacity within Italy. National flag carrier Alitalia placed an order for four trainer-configured aircraft, designated as the "D" version; these were expressly demilitarized and equipped with specialised instrumentation in order to train the airliner's pilots in preparation for the arrival of the new generation of jetliners that were being procured by the airliner. Neither the "A" and "C" models of the MB-326 would ever be realized. The "A" variant had been intended to be operated as a light attack aircraft, armed with a pair of 7.62 mm machine guns which were to be installed upon the aircraft's nose. While none were originally built, a number of MB-326s were later referred to by the "A" designation, however, this was meant to indicated that these had been provisioned with a Marconi-built AD-370 automatic direction finder (ADF). The "C" version was envisioned as being provisioned with a nose-mounted North American Search And Ranging Radar (NASARR) unit and other electronic equipment in order to be used for the training of AMI F-104 pilots, however, this variant only appeared as a mock-up. A7-043 (MB-326H) at the RAAF Base Wagga in Australia. The Royal Australian Air Force (RAAF) used the MB-326H as a jet trainer. A total of 97 were ordered: 12 were delivered by Macchi, 18 assembled from kits in Australia, and another 67 were built by the Commonwealth Aircraft Corporation and Hawker Aircraft with the designation CA-30. They were essentially similar to the MB-326G but with improved avionics. 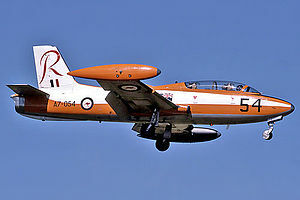 The RAAF's aerobatic team, The Roulettes, flew the MB-326H from December 1970 until 1989. RAAF pilot training until 1975 consisted of 60 hours pre-selection on CAC Winjeels (from 1975 onwards the PAC CT/4 Airtrainer, aka Plastic Parrot), 150 hours medium and another 75 hours advanced training on MB-326H, before finally progressing to the Mirage IIIOD. Although widely liked for its excellent handling and well-suited to its task, the service career of the MB-326 was cut short because of structural fatigue problems. The Australian fleet, for example, had a life of type extension program in the 1980s and were then re-winged in the early 1990s after a fatigue-related crash. Even so, the MB-326 was supplemented by new Pilatus PC-9 trainers to reduce flying hours, and the last examples had been withdrawn by 2001 when they were replaced by the Hawk 127. Brazil was the main customer for the MB-326, in 1970 ordering two prototypes and 166 MB-326GCs, called the AT-26 Xavante. It was produced under license by Embraer with a further six for Togo and 10 for Paraguay. South Africa obtained a license to produce the MB-326M (similar to the 'G' model), as the Impala Mk I in 1964 with production starting in 1966. It received 40 Italian-built aircraft followed by about 125 built locally by the Atlas Aircraft Corporation, using them both as trainers and in an armed configuration. Seven examples of the MB-326K were also bought as light attack aircraft, with a further 15 assembled from kits, while around 78 were license-produced and known as the Impala Mk II. Licence production of the single seat version began in 1974. The Impala Mk II, locally manufactured and equipped with French armament, was also advanced with a South African ECM suite. The South African Defence Force employed Impalas during campaigns against the People's Armed Forces for the Liberation of Angola (FAPLA) and Cuban expeditionary troops in Angola between 1975 and 1989. 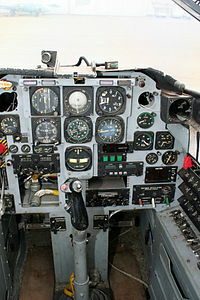 Impala pilots typically flew at 550–650 km/h at a height of 15 m to avoid Angolan air defences. Over the course of the South African Border War, one was downed by an SA-7; another returned with an unexploded missile in its exhaust. The aircraft had many advantages over expensive supersonic jets. Although slower, it could operate from relatively primitive airfields and strike swiftly. The South African Air Force (SAAF) used up to 6 x 120 kg or 4 x 250 kg bombs. The main armament consisted of 68 mm SNEB rocket-launchers (four x 6 or two x 18), and two 30 mm autocannon (with 300 rounds). These cannons were the real bonus for the Impala Mk II, helping to give a superior performance compared to earlier two-seat versions. The latter could also carry a pair of 30 mm DEFA guns in under-wing pods. However, dual capability as trainer-attackers was better appreciated, as was the availability of six hard points and so dual-seat versions were far more common. Six squadrons were equipped with the Impala Mk II in the SAAF during the 1970s and 1980s. Prior to Operation Moduler, most Impalas were withdrawn from their operating bases in South-West Africa, leaving the work to Mirage IIIs and Blackburn Buccaneers. Impala Mk IIs were also opportunistically used as interceptors. In several encounters in 1985 with Mi-8 and Mi-24 helicopters, they shot down a total of six. This happened during a crucial phase of the ground war, when Angolan and Cuban troops were checked in an offensive against UNITA bases. This ended in disaster for the Angolan/Cuban alliance when their supplies were cut off by UNITA and the SAAF and front line troops ran out of ammunition. Helicopters were being used to supply the besieged troops and the SAAF cut off this link. Two Mi-24s were shot down in the first encounter while escorting Mi-17s. The MiG-21s that escorted them flew too high to react in time. Two days later the Impala Mk IIs struck again, downing two Mi-24s and two Mi-17s. Attacks on unsuspecting helicopters were carried out with only two guns per aircraft. The single seat Impala Mk IIs were also sometimes armed with Matra R550 Magic air-to-air missiles for self-defence. The Impala Mk II operated at extreme ranges and had to fly very low, climbing only when helicopters were seen at medium altitude. After each attack they returned to low level to avoid interception by enemy MiGs. The Silver Falcons, the SAAF aerobatic team, were equipped before with Impala Mk Is. The flying school for Impalas was Flying Training School at Langebaanweg while operational squadrons were 4, 5, 6, 7 and 8 Squadrons, with 85 Combat Flying School also having a small number of Impalas to supplement their Mirage trainers. A number of MB-326 aircraft, together with the more modern MB-339, formed the equipment of the Argentine Navy's 1 Escuadrilla de Ataque in 1982, when Argentina invaded the Falkland Islands. A number of MB-326s were deployed to bases along the Argentine coast immediately following the Argentine invasion, but soon returned to the squadron's base at Punta Indio. While several MB-339s were deployed to the Falklands, the MB-326s remained on the mainland. After the end of the war, 11 EMB-326GBs were received from Brazil to replace losses and restore 1 Escuadrilla de Ataque's strength. In stark contrast to the competing Fiat G.91, which was often considered to be not very convincing as a light fighter, the MB-326 was quick to achieve several export successes in this capacity. The type had ultimately failed to impress other NATO nations, who only sparsely adopted it into their air forces. However, the MB-326 did achieve a visible measure of success amongst many Third World countries, leading to the MB-326 seeing considerable use as a front-line combat aircraft in a number of regional conflict. Another 17 MB-326GCs were built in Italy for Zaire (Force Arienne Zairoise) and 23 for the Zambian Air Force. The measures to save costs led the MB-326 to be frequently substituted for by propeller-driven models, however, the Macchi was often flexible enough to act as a medium trainer and light attack aircraft. MB-326: Two prototypes and 125 production training aircraft for the Italian Air Force. MB-326B: Eight two-seat jet trainer, light attack aircraft for Tunisia. MB-326D: Four two-seat unarmed jet trainers for Alitalia. MB-326E: Six two-seat armed jet trainers for the Italian Air Force. MB-326F: Nine two-seat jet trainer, light attack aircraft for Ghana. MB-326G: Two two-seat jet trainer, ground-attack aircraft. MB-326GB: Two-seat jet trainer, ground-attack aircraft. Eight were sold to the Argentine Navy. 17 aircraft were exported to Zaire, and another 23 aircraft to Zambia. MB-326GC: Two-seat jet trainer, ground-attack aircraft for the Brazilian Air Force. 167 aircraft built under license in Brazil as the Embraer EMB-326 for the Brazilian Air Force. Eleven of them were transferred to the Argentine Navy after the Falklands War. Six aircraft were exported to Togo, and another ten to Paraguay. Total production, 182. AT-26 Xavante: Brazilian Air Force designation of the MB-326GC. RT-26 Xavante: Some AT-26 Xavantes were converted into reconnaissance aircraft. MB-326H: 87 two-seat jet trainers built for the Royal Australian Air Force, and 10 for the Royal Australian Navy. Twelve Italian-built aircraft and 85 built under license in Australia by the Commonwealth Aircraft Corporation with the designation "CA-30". Impala Mk II: South African Air Force designation of the MB-326K. MB-326KD: Single-seat ground-attack aircraft for Dubai. (Three built). MB-326L: Two-seat advanced jet trainer aircraft. MB-326LD: Two-seat advanced jet training aircraft for Dubai. (Two built). MB-326LT: Two-seat advanced jet training aircraft for Tunisia. Four built. MB-326M: Two-seat jet trainer, ground-attack aircraft for the South African Air Force. Built under license in South Africa by the Atlas Aircraft Corporation. Impala Mk I: South African Air Force designation of the MB-326M. MB-326RM: Five Italian Air Force MB-326s were converted into ECM aircraft. Royal Australian Air Force operated 87 MB-326Hs from 1967 to 2001. As of 2014 some fuselages are still in use at RAAF Base Wagga as training aids. Fleet Air Arm (RAN) operated 10 MB-326Hs from 1970 to 1983. Brazilian Air Force received 182 MB-326GCs (known as the AT-26 Xavante) and 12 Atlas Impala ex-South African Air Force. The last examples were retired on 2 December 2010. Dubai Defence Force Air Wing – 6 x MB 326KD, 3 x MB 326LD passed on to the United Arab Emirates Air Force in 1999. Paraguayan Air Force operates ten EMB-326GBs/AT-26 Xavante, some in reserve. United Arab Emirates Air Force inherited six aircraft from the Dubai Defence Force Air Wing. 7 March 1968: CA-30 (Aermacchi MB-326H) crashed after aileron control jammed; pilot ejected safely. 31 January 1969: CA-30 loss of control; pilot and student survived. 22 July 1969: CA-30 crashed after engine fire; pilot and student ejected safely. 1 October 1969: CA-30 crashed after engine fire; pilot and student ejected safely. 11 August 1970: CA-30 canopy separated in flight, pilot and student killed. 19 November 1970: CA-30 crashed during night flying; pilot did not survive ejection. 29 October 1975: CA-30 crashed after striking trees; crew ejected with minor injuries. 19 July 1979: CA-30 crashed during aerobatic practice; pilot ejected safely. 15 February 1980: CA-30 canopy separated in flight, pilot and student ejected with injuries. 15 August 1980: CA-30 crashed during aerobatic display; pilot survived ejection but died when wreckage exploded. 15 December 1983: two CA-30s collided mid air during aerobatic practice; both pilots killed. 3 August 1987: CA-30 crashed due to engine icing; crew ejected safely. 5 April 1988: CA-30 crashed after engine failure; pilot and student ejected safely. 4 February 1988: CA-30 damaged beyond repair on landing due to brake failure; pilot uninjured, fuselage used as training aid. 10 March 1988: two CA-30s collided mid air during aerobatic practice; one pilot ejected safely, other aircraft landed but damaged beyond repair. 3 August 1989: CA-30 crashed after engine fire; pilot and student ejected safely. 16 October 1990: CA-30 crashed during aerobatic practice; pilot ejected safely. 11 November 1990: CA-30 crashed after wing failure; pilot killed during ejection. 24 October 1994: two CA-30s collided mid air during combat training, both pilots ejected with minor injuries. 22 April 1959: First prototype I-MAKI crashed in Egypt; pilot ejected. Excluding the prototype, 33 Italian Air Force MB-326s were lost in accidents between 1963 and 1992. On 2 October 1993, an Impala Mark I (Aermacchi MB-326)(no. 489) of the SAAF Silver Falcons aerobatic team crashed after suffering separation of the right wing during a performance at the Lanseria Airshow. The pilot, Captain Charlie Rudnick, ejected but was killed, as the ejection was initiated outside of the design envelope of the ejection seat. Argentine Navy MB-326 preserved at Río Grande, Tierra del Fuego. 0647 – MB-326GB on static display at Río Grande, Tierra del Fuego. A7-001 on display at the RAAF Museum. A7-001 – MB-326H on static display at the RAAF Museum in Point Cook, Victoria. A7-014 – MB-326H on static display at the Gippsland Armed Forces Museum in Sale, Victoria. A7-015 – MB-326H on static display at the Gippsland Armed Forces Museum in Sale, Victoria. A7-026 – MB-326H on static display at the South Australian Aviation Museum in Port Adelaide, South Australia. A7-027 – MB-326H on static display at RAAF Base Pearce in Bullsbrook, Western Australia. A7-030 – MB-326H in storage at the Historical Aircraft Restoration Society in Albion Park Rail, New South Wales. A7-047 – MB-326H at the RAAF Base Amberley Aviation Heritage Centre in Ipswich, Queensland. A7-054 – MB-326H on static display at the Benalla Aviation Museum in Benalla, Victoria. A7-057 – MB-326H on static display at the Merredin Military Museum in Merredin, Western Australia. A7-062 – MB-326H on static display at Fighter World at RAAF Base Williamtown near Newcastle, New South Wales. A7-066 – MB-326H on static display at the Aviation Heritage Museum in Bull Creek, Western Australia. It is painted as A7-025. A7-067 – MB-326H forward fuselage on static display at Fighter World at RAAF Base Williamtown near Newcastle, New South Wales. A7-077 – MB-326H on static display at the Fleet Air Arm Museum at HMAS Albatross near Nowra, New South Wales. A7-097 – MB-326H at the RAAF Museum in Point Cook, Victoria. 472 – MB-326M on display at the Österreichisches Luftfahrtmuseum Graz-Thalerhof in Graz, Styria. FAB-4560, an AT-26 Xavante (Brazilian version of Aermacchi MB-326, built by Embraer) on static display at Jardim Vila Galvão square, in the city of Guarulhos. In storage at the TAM Museum in São Carlos, São Paulo. Ghana Air Force Aermacchi MB-326 at the Ghana Armed Forces (GAF) Museum in Kumasi, Ashanti Region, Ghana..
Armed Forces Museum in Kumasi, Ashanti. MB-326 at San Pelagio Air and Space Museum. MM54243 – MB-326 on static display at the San Pelagio Air and Space Museum in Due Carrare, Veneto. MM54266 – MB-326D on static display at the Istituto Tecnico Industriale Aeronautico in Udine, Friuli-Venezia Giulia. 494 – MB-326M on static display at Impala Primary School in Kempton Park, Gauteng. MB-326 on static display at Port Elizabeth Airport in Port Elizabeth, Eastern Cape. 531 – MB-326M on static display at Air Force Base Ysterplaat in Cape Town, Western Cape. 532 – MB-326M on static display at the South African Air Force Museum in Centurion, Gauteng. 589 – MB-326M on static display at the South African Air Force Museum in Centurion, Gauteng. 1000 – MB-326K on static display at the South African Air Force Museum in Centurion, Gauteng. 1045 – MB-326K on static display at the South African National Museum of Military History in Johannesburg, Gauteng. 1065 – MB-326K on static display at the South African Air Force Museum in Centurion, Gauteng. 474 – MB-326M on static display at the Estrella Warbirds Museum in Paso Robles, California. ^ Aircraft, compared and contrasted, 2011, p. 140 . ^ Angelucci and Matricardi 1980, pp. 269–271. ^ a b c d e f g h i j k l m n Flight International 20 September 1961, p. 492. ^ Taylor 1969, p. 120. ^ Angelucci and Matricardi 1980, p. 269. ^ a b Flight International 20 September 1961, p. 493. ^ a b c d e f g h Flight International 20 September 1961, p. 494. ^ Flight International 20 September 1961, pp. 492, 494. ^ Flight International 20 September 1961, pp. 493–494. ^ Flight International 20 September 1961, pp. 492–493. ^ "Advanced training in the southern skies." Flight International, 8 April 1978. p. 974. ^ Dennis et al 2008, p. 335. ^ a b c d Potgieter, Herman and Willem Steenkamp. Aircraft of the South African Air Force. London: Jane's, 1981, First edition 1980. ISBN 0-86977-133-7. ^ The Illustrated Encyclopedia of Aircraft, Issue 1, 1981, p. 20. ^ The Illustrated Encyclopedia of Aircraft, Issue 2, 1981, p. 34. ^ War machines 1985, p. 2119. ^ Cooper, Tom. "Angola: SAAF Bushwacks Six Helicopters." ACIG. Retrieved: 2 January 2010. ^ Burden et al 1986, p. 29. ^ Burden et al 1986, p. 33. ^ "Brazilian air force retires last Xavante trainers." Flightglobal, 3 December 2010. Retrieved: 22 January 2012. ^ "Cameroon orders CN235." defenceweb.co. Retrieved: 9 November 2012. ^ 4 Squadron, www.saairforce.co.za, Retrieved 2013-10-08. ^ 5 Squadron, www.saairforce.co.za, Retrieved 2013-10-08. ^ 6 Squadron, www.saairforce.co.za, Retrieved 2013-10-08. ^ 8 Squadron, www.saairforce.co.za, Retrieved 2013-10-08. ^ 24 Squadron, www.saairforce.co.za, Retrieved 2013-10-08. ^ 40 Squadron, www.saairforce.co.za, Retrieved 2013-10-08. ^ 85 Combat Flying School, www.saairforce.co.za, Retrieved 2013-10-08. ^ "ASN Wikibase Occurrence # 31989." Aviation Safety Network. Retrieved: 22 February 2011. ^ "Chronological Listing of Italian Losses & Ejections." Archived 2009-01-07 at the Wayback Machine Aviation Safety Network. Retrieved: 22 February 2011. ^ "Silver Falcons." silverfalcons.co.za. Retrieved: 22 February 20111. ^ "Airframe Dossier – Aermacchi MB-326GB, s/n 0647 / 4-A-108 ARA, c/n 6540 / 281". Aerial Visuals. AerialVisuals.ca. Retrieved 7 August 2017. ^ "Aermacchi MB 326H A7-001". RAAF Museum. RAAF Museum. Retrieved 7 August 2017. ^ a b c d e Scott, Brenden; Edwards, Martin (24 June 2015). "RAAF A7 & RAN N14 CAC CA-30 Macchi MB-326H List of surviving airframes". ADF-Serials. Retrieved 7 August 2017. ^ "Aermacchi". South Australian Aviation Museum. Retrieved 7 August 2017. ^ "Airframe Dossier – Aermacchi MB-326H, s/n A7-027 RAAF, c/n CA30-27". Aerial Visuals. AerialVisuals.ca. Retrieved 7 August 2017. ^ "Airframe Dossier – Aermacchi MB-326H, s/n A7-054 RAAF, c/n CA30-54". Aerial Visuals. AerialVisuals.ca. Retrieved 7 August 2017. ^ "Airframe Dossier – Aermacchi MB-326H, s/n A7-057 RAAF, c/n CA30-57". Aerial Visuals. AerialVisuals.ca. Retrieved 7 August 2017. ^ "Aermacchi MB326H". Fighterworld. Retrieved 7 August 2017. ^ "MB-326H". Aviation Heritage Museum. Aviation Heritage Museum. Retrieved 7 August 2017. ^ "Airframe Dossier – Aermacchi MB-326H, s/n A7-077 RAAF, c/n CA30-77". Aerial Visuals. AerialVisuals.ca. Retrieved 7 August 2017. ^ "Airframe Dossier – Aermacchi MB-326H, s/n A7-097 RAAF, c/n CA30-97". Aerial Visuals. AerialVisuals.ca. Retrieved 7 August 2017. ^ "Das Museum". Österreichisches Luftfahrtmuseum Graz – Thalerhof. Österreichisches Luftfahrtmuseum Graz-Thalerhof. Retrieved 7 August 2017. ^ "GUARULHOS: Praça na Vila Galvão ganha avião Xavante". comerciariosdeguarulhos.org.br. Retrieved 6 September 2017. ^ "Airframe Dossier – Aermacchi MB-326, s/n MM54243 AMI, c/n 6329". Aerial Visuals. AerialVisuals.ca. Retrieved 7 August 2017. ^ "Airframe Dossier – Aermacchi MB-326D, s/n MM54266 AMI, c/n 6292". Aerial Visuals. AerialVisuals.ca. Retrieved 7 August 2017. ^ "Airframe Dossier – Aermacchi-Atlas MB-326M, s/n 494 SAAF, c/n A19". Aerial Visuals. AerialVisuals.ca. Retrieved 7 August 2017. ^ "Airframe Dossier – Aermacchi-Atlas Impala I, s/n 531 SAAF, c/n A56". Aerial Visuals. AerialVisuals.ca. Retrieved 7 August 2017. ^ "Airframe Dossier – Aermacchi-Atlas Impala I, s/n 532 SAAF, c/n A57". Aerial Visuals. AerialVisuals.ca. Retrieved 7 August 2017. ^ "Airframe Dossier – Aermacchi-Atlas Impala I, s/n 589 SAAF, c/n A114". Aerial Visuals. AerialVisuals.ca. Retrieved 7 August 2017. ^ "Airframe Dossier – Aermacchi-Atlas MB-326K, s/n 1000 SAAF, c/n 6555/296/001". Aerial Visuals. AerialVisuals.ca. Retrieved 7 August 2017. ^ "Airframe Dossier – Aermacchi-Atlas MB-326K, s/n 1045 SAAF, c/n 46". Aerial Visuals. AerialVisuals.ca. Retrieved 7 August 2017. ^ "Airframe Dossier – Aermacchi-Atlas Impala II, s/n 1065 SAAF, c/n 66". Aerial Visuals. AerialVisuals.ca. Retrieved 7 August 2017. ^ "Aermacchi MB 326 Impala". Estrella Warbirds Museum. Retrieved 7 August 2017. ^ "Airframe Dossier – Aermacchi-Atlas MB-326M, s/n 474, c/r N7085D". Aerial Visuals. AerialVisuals.ca. Retrieved 7 August 2017. ^ Taylor, John W.R., ed. (1969). Jane's all the World's Aircraft 1969–70 (60th ed.). London: Sampson Low, Marston & Company. pp. 120–122. "Aermacchi M.B.326". The Illustrated Encyclopedia of Aircraft, London: Orbis, Volume 1, Issue 1, 1981, p. 20. "Aermacchi M.B.326K". The Illustrated Encyclopedia of Aircraft, London: Orbis, Volume 1, Issue 2, 1981, p. 34. Andrade, John. Militair 1982. London: Aviation Press, 1982. ISBN 0-907898-01-7. Angelucci, Enzo and Paolo Matricardi. World Aircraft: Combat Aircraft 1945–1960. Maidenhead, Berkshire, UK: Sampson Low Guides, 1980. ISBN 0-562-00136-0. Burden, Rodney A., Michael A. Draper, Douglas A. Rough, Colin A Smith and David Wilton. Falklands: The Air War. Twickenham, UK: British Air Review Group, 1986. ISBN 0-906339-05-7. Dennis, Peter; Grey, Jeffrey; Morris, Ewan; Prior, Robin; Bou, Jean (2008). The Oxford Companion to Australian Military History (2nd ed.). Melbourne: Oxford University Press. ISBN 978-0-195517842. Fenili, Vincenzo. "Impala sul Bush." JP4 Magazine, January 1990. "High-Macchi Flying." Flight International, 20 September 1961. pp. 492–494. Jannetti, Fabrizio. "30 anni di '326." Aeronautica & Difesa magazine, Rome: Ed. Ai editions, N.14, December 1987, pp. 38–47. Taylor, John W.R., ed. Jane's All The World's Aircraft 1969–70. London: Jane's Yearbooks, 1969. War Machines Encyclopaedia (Italian edition printed by De Agostini). London: Aerospace Publishing, 1985, pp. 2117–19 . Wikimedia Commons has media related to Aermacchi MB-326.